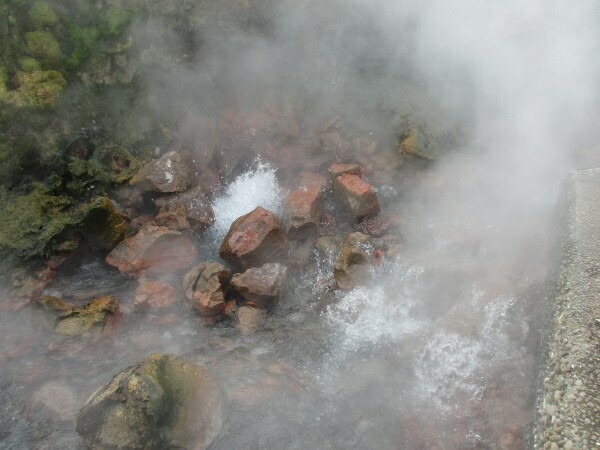 The upper Borgarfjordur area in West-Iceland is the largest low-temperature geothermal region in Iceland with a total natural discharge equivalent to about 450 litres per second of boiling water. In that area, the biggest hot spring in Europe, Deildartunguhver pumps out 180 litres each second of 97°C water. The water runs via two pipelines to heat the two towns Borgarnes and Akranes, 34 km and 64 km away, respectively. commercial production, building a knowledge network domestic and internationally and enhancing aquaponics skills through vocational training and a PhD programme. The Icelandic aquaponics group has a strong international aquaponics network through the SME Svinna-verkfrædi ehf and the University of Iceland. The group is participating in three European projects; The Ecoinnovation funded EcoPonics, The Leonardo funded project EuroPonics and the COST Action FA1305 The EU Aquaponics Hub: Realising Sustainable Integrated Fish and Vegetable Production for the EU. Aquaponics.is is designing and constructing commercial solutions pulling aquaculture and plant production in hydroponics together into one sustainable production process optimizing the use of natural resources and minimizing waste. Several small pilot systems have been built. Iceland offers abundant geothermal reserves that have for several decades been used successfully to heat up greenhouses for plant and vegetable production and for aquaculture.